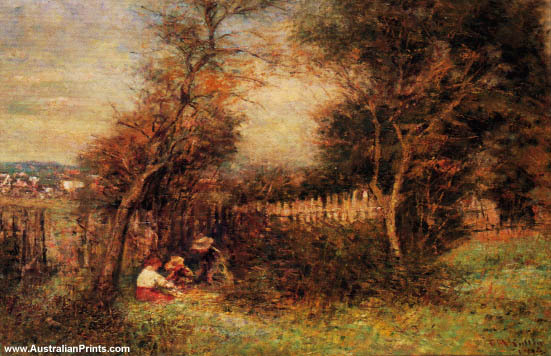 Frederick McCubbin was an Australian artist and prominent member of the Heidelberg School art movement, also known as Australian Impressionism. 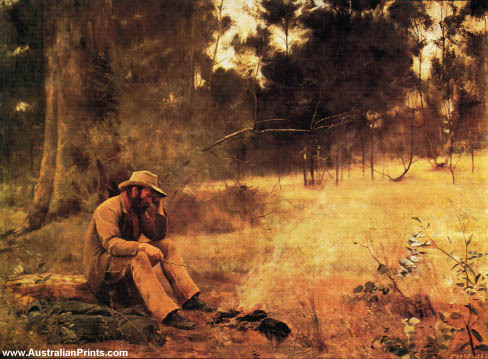 Frederick McCubbin (25 February 1855 – 20 December 1917) was an Australian artist and prominent member of the Heidelberg School art movement, also known as Australian Impressionism. 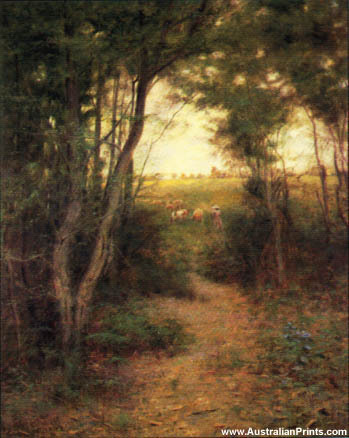 A painter of heroic figure compositions set in nationalist landscapes, McCubbin studied at the Artisan’s School of Design under Louis Buvelot during the late 1860s and in 1871 he enrolled at the National Gallery School under Eugene Von Guerard. 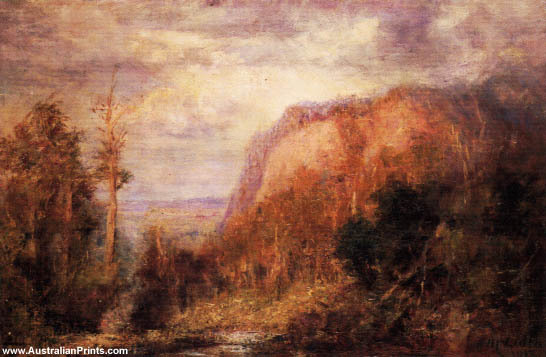 Frederick McCubbin was an Australian painter who was prominent in the Heidelberg School, one of the more important periods in Australia’s visual arts history. 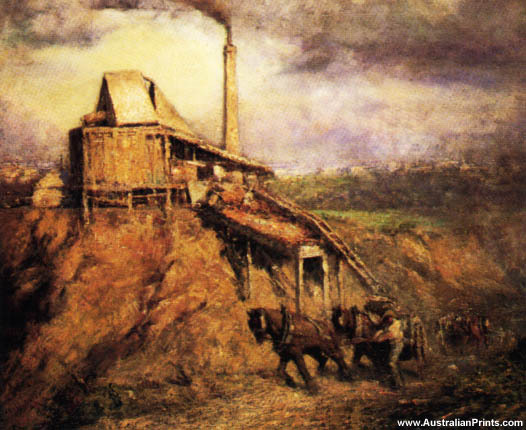 It was in 1871 that Fred McCubbin began a five year apprenticeship as a coach painter. He began a ‘life club’ in 1882 for himself and other students to make up for the shortcomings of the Art School. 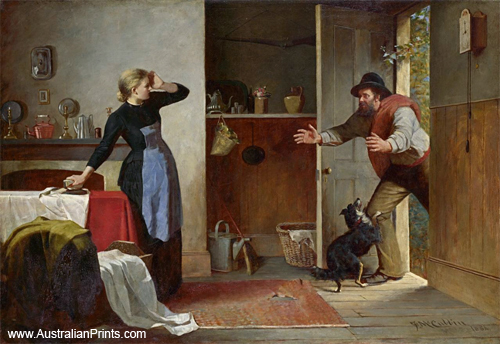 In 1884 he won a major student prize for ‘Home Again’. 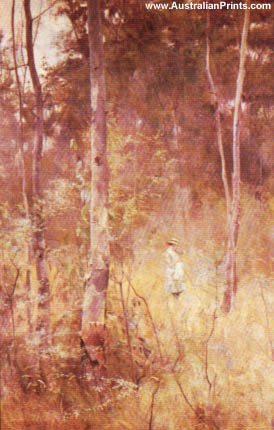 A year later he, Tom Roberts and Abrahams set up the first Box Hill artists’ camp. This group of three quickly expanded to become the Heidelberg School which culminated in the 9 x 5 Impressions Exhibition in 1889. 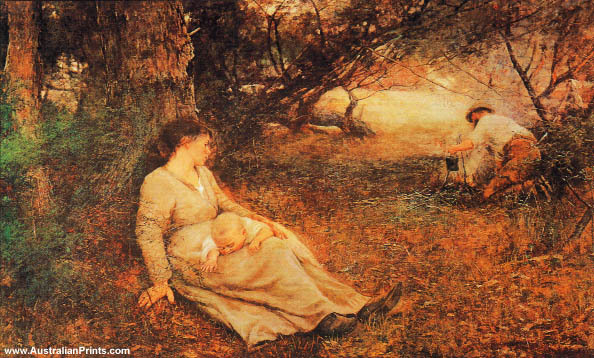 McCubbin became a full-time teacher at the National Gallery School from 1886 till his death of a heart atack in 1917. He spent most of his life in and around Melbourne. 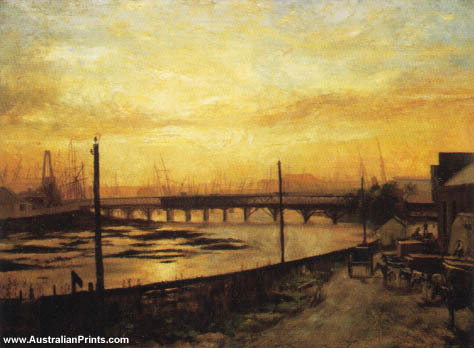 In 1907 a short European trip marked a great shift in compositions, his paintings becoming smaller light-filled pure landscapes, with a strong reference to the works of the Englishman, Turner. 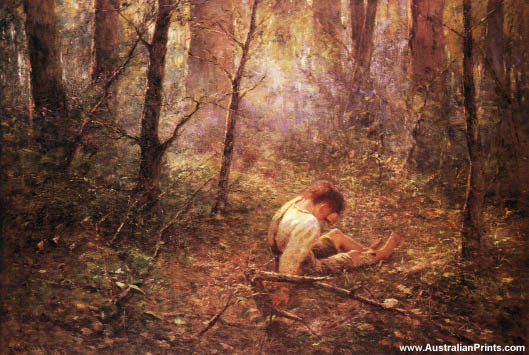 According to Wikipedia, Frederick McCubbin (25 February 1855 – 20 December 1917) was born in Melbourne, the third of eight children of Alexander McCubbin, a baker from Scotland and his English wife Anne, née McWilliams. 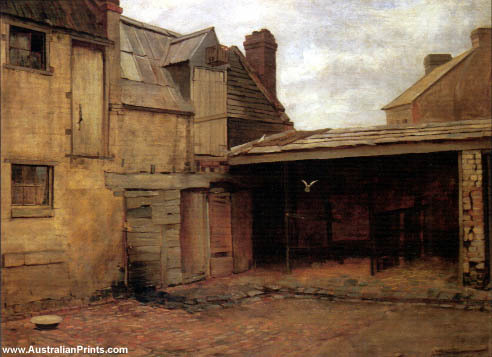 McCubbin was educated at William Willmett’s West Melbourne Common School and St Paul’s School, Swanston Street. 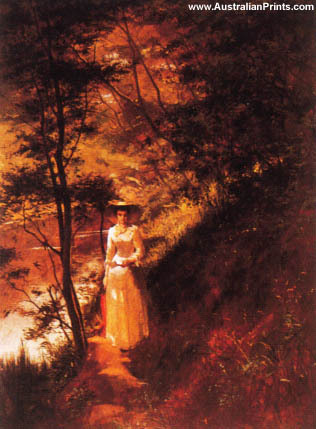 He later worked for a time as solicitor’s clerk, a coach painter and in his family’s bakery business while studying art at the National Gallery of Victoria’s School of Design, where he met Tom Roberts and studied under Eugene von Guerard. 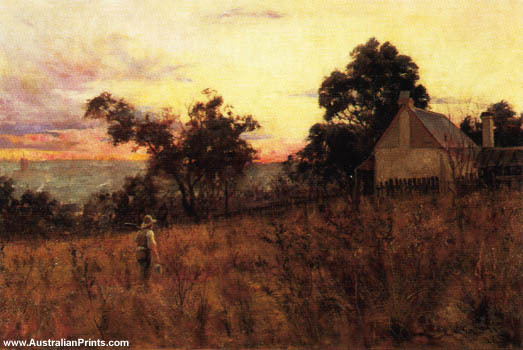 He also studied at the Victorian Academy of the Arts and also exhibited there in 1876 and again from 1879 to 1882, selling his first painting in 1880. 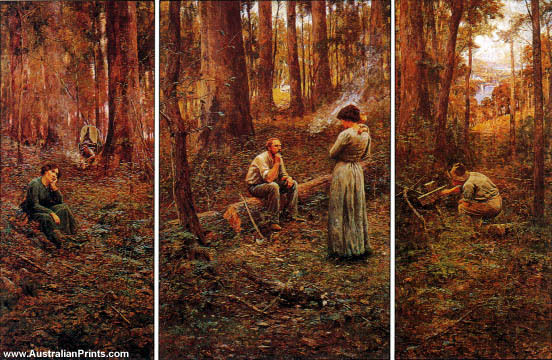 McCubbin married Annie Moriarty in March 1889. They had seven children. 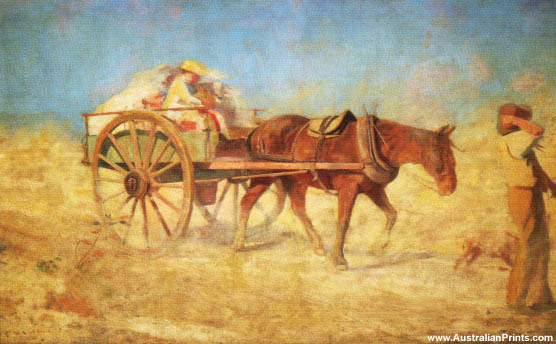 His son Louis also became an artist. 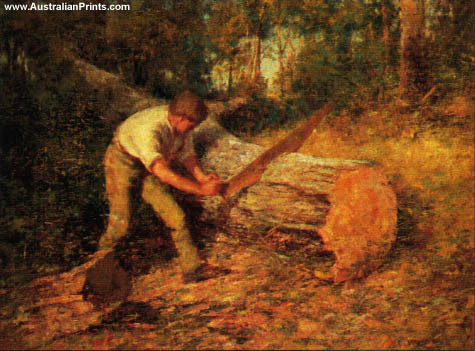 Fred McCubbin died in 1917 from a heart attack. Rain and Sunshine (c. 1910), Interior (1911), Gum Leaf (South Yarra Landscape) 1915. 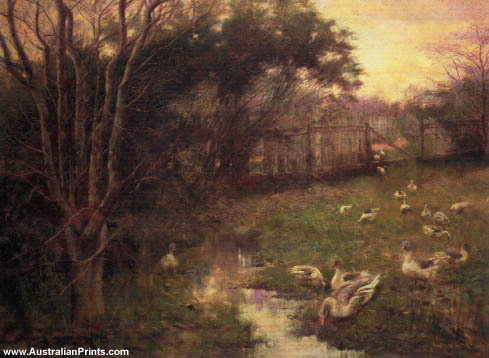 Artist information page for Frederick McCubbin. 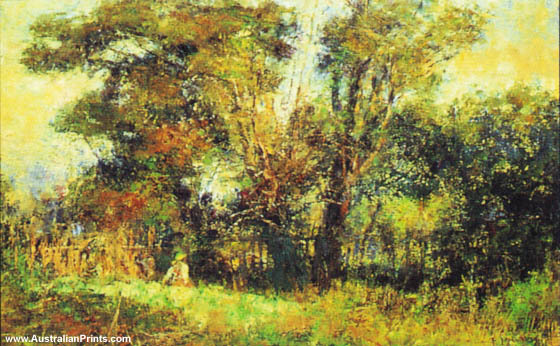 This article uses material from the Wikipedia article Frederick McCubbin, which is released under the Creative Commons Attribution-Share-Alike License 3.0.